Handy rain cover with reflective logo. Made from supple PU-treated nylon with taped seams. 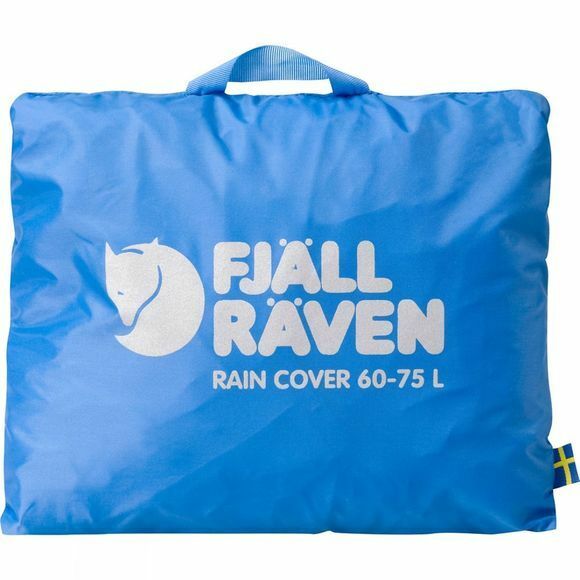 Manufactured in Fjällräven's UN Blue safety colour, which provides optimum visibility in all types of weather and terrain. Compression with elastic in the lower part and drawcord adjustment. The rain cover also has a hook that turns the drawcord adjustment into a guyline to prevent the rain cover from flying off in extreme winds. 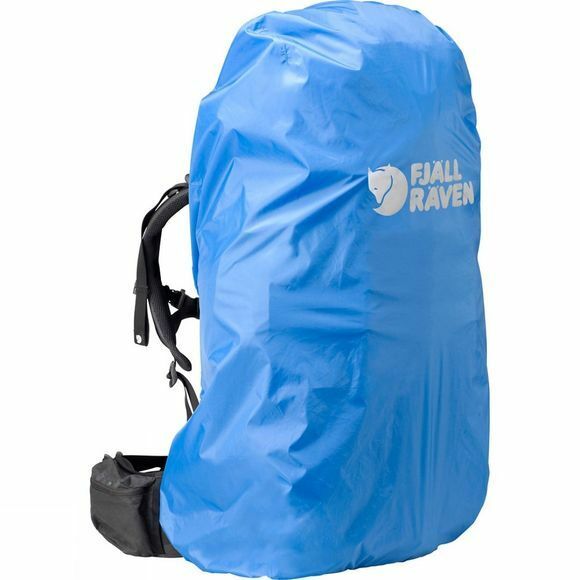 Integrated pack bag with hook and loop means it is always close at hand in your bag when you need it. Fits 80 to 100-litre backpacks.